As we begin another year, let’s take a look at some predictions from the experts out there of trends we will be seeing in UX, content and design for 2017. Some really interesting ones here, I thought. Over half the world’s population will be online by 2017, and the enormous influx of new users will bring about a disproportionate amount of digital-novices we’ll need to specially design for. The practice of failure-mapping will allow UX designers to better understand, anticipate, and model non-ideal scenarios, allowing us to better handle incorrect usage of products and services. This term refers to single task-based interactions with a product, like setting an alarm, liking a comment, or pressing a login button—many invisible, too small to even notice. With the world of apps and services becoming increasingly more granular and specific we’re moving towards further atomization of microinteractions, every touch, scroll, pinch, zoom, tap, click and so on will be rich with unique animations and feedback. Weather is an integral part of our world. While weather patterns of the past have remained fairly consistent, mitigating the need for constant, synchronous weather tracking, the dramatic climate shifts of the near-future will bring about extreme environmental conditions that necessitate the need for ever more vigilant weather tracking. More and more product designers are deliberately invoking the Tamagotchi Gesture in their work—crafting personality and charm by imbuing their products with a certain obsolescence, incompleteness, and fragility, expect to see more of these, bringing about the much needed human touch to products of the future. Haptic feedback refers to the use of the sense of touch in a user interface, such as a virtual keyboard, whose individual keys provide tactile feedback when pressed. Haptic technology has grown increasingly more sophisticated with the proliferation of high-end mobile devices, and is expected to become even more advanced in the next two years. Here are a selection of Contently’s 23 predictions for 2017. 1. Traditional publishers will stop downsizing quality journalists and realize the value they can provide to their content marketing efforts. 2. Shortform social video is the biggest looming opportunity for content marketers. It’s the new TV commercial. And since it’s perfect for bite-size storytelling, it will dominate Facebook before we know it. 3. Companies will share more stories of corporate social responsibility, highlighting people and programs focused on sustainability, diversity and inclusion, and community involvement. 4. Organizations serious about content marketing will use proprietary data to tell compelling stories, relying on internal data scientists and analysts to support content initiatives. 5. The ROI apocalypse is coming. You published content, didn’t think about how to distribute it to your target audience, and now your CEO is about to come breathing down your neck wondering what you spent all of her money on. Some people in content marketing get how to do it right, but most still do not. In 2017, it’s time to get it in gear or deal with the reckoning. 9. Writers who have written for top brand publications will be as coveted as those who have written for traditional publications. For example, writing for Red Bull will carry the same weight as writing for Outside magazine. 12. CMOs will begin to be held accountable for showing a return on content investment, and industry standards for how to do so will become more common. 14. Some brave B2B brand will take the plunge into VR. The result will be unpleasant. 15. With so much controversy around fake news, brands won’t be able to put out a half-assed study that coincidentally finds their product solves some big problem. If brands want to publish original research, particularly if they want traditional press to cover it, the research will have to be high-quality work that’s completed with a respected third-party organization. 22. The backlash against tech will grow, and that includes social platforms and digital advertising. Privacy is part of that, but the biggest factor will be AI. Could AI eventually replace the rank-and-file marketer? It’s possible. AI already came for blue-collar jobs, and it’s coming for service jobs now. White-collar jobs are next up on the chopping block. From The Innovation Group at J. Walter Thompson Intelligence, their annual forecast of consumer trends to watch in the coming year. Culture — AI art — Today’s artists are using emerging artificial intelligence technologies to create, curate and collaborate in ways that were impossible just a few years ago. Tech and Innovation — Augmented reality evolves — The surprise success of Pokémon Go has put augmented reality (AR) in the pockets of millions. As Apple and others plan AR initiatives, retailers and marketers are looking at the technology with fresh eyes. Travel and Hospitality — Halal tourism — The tourism industry is waking up to the growing spending power of Muslim travelers, who represent a $220 billion market. Brands and Marketing — (Dis)ability advertising — Nearly one in five adults, or over 53 million people, in the United States have a disability, and that ratio is expected to grow. Advertising is finally starting to reflect that reality. Food and Drink — Marijuana: The new rosé? — Marijuana may be on its way to overtaking wine as the hip indulgence of choice for women, as accessories get high-end redesigns and more women go into cannabusiness. Beauty — Second skin — Researchers are uncovering new materials that create a “second skin” to restore natural elasticity and a youthful appearance. Retail — Retail naturalism — Technology brands are evolving retail concepts away from cold and minimal shops toward something friendlier and more natural. Health — Quantified blood — The rise of at-home blood testing is bringing entirely new dimensions to the tracking of personal health. Lifestyle — Sleep renaissance — We’re in the midst of a soporific renaissance as innovators respond to our culture’s chronic undervaluation of sleep, and the “sleep space” gets the Silicon Valley treatment. Luxury — Artificial nature — Luxury hospitality brands are creating sophisticated manmade natural environments where guests can not only experience five-star service, but also enjoy an environment that would otherwise be unavailable. And now, some social media trends for the upcoming year. Businesses will move to have a presence on social messaging apps to allow direct engagement with users. As more and more people turn to the internet as their main news source, it is critical to weed out fake news, something that proliferated about both candidates during the 2016 presidential election. And by this we mean live video, first made popular by Twitter’s Periscope, Facebook Live has since been launched and has lead to a spike in engagement. Instagram has also joined the live video party. Snapchat selfie lenses and Pokémon Go, anybody? While augmented reality is fairly old technology, it’s going big thanks to social media and presents opportunities for brands to connect with their audience by sharing experiences, not just information. Chatbots are already helping businesses improve customer service by quickly responding to their comments and questions. Expect the tool to become more popular in 2017 — especially since social media sites are doing everything they can to keep people on their platform instead of navigating away to a business website. 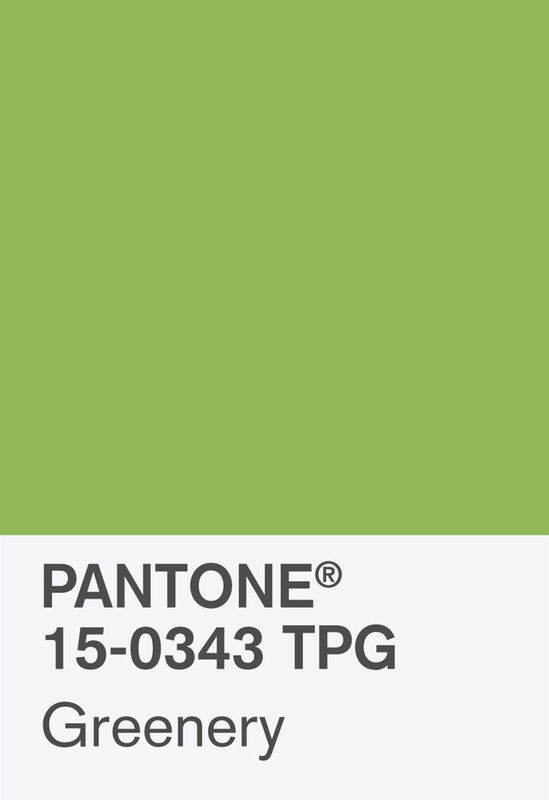 And because this one is always kind of fun: Pantone’s Color of the Year – Greenery. For the past 16 years, every year Pantone has released a color that embodies deeper societal trends, forecasting and influencing visual and design trends for the year ahead in homewares, fashion and industrial design to name a few. Although mindfulness was indeed a key trend this year, there’s also been much political turmoil. that have left Western society craving authenticity and a return to simplicity.